Listen up, loved-up ladies and gents. Now is as good a time as any to pencil a significant other into your ten-year financial plan. Why? Because apparently avocado prices are going down and staying down (THANK THE LORD), so scraping together a house deposit just became a reality for us youngins—but also because FYI; a ~romantic~ date night in Melbourne now costs less than $50. “But I don’t even have fifty bucks!”. No problemo friend, there are lots of way to snag a crisp pineapple if your bank account’s looking bare. You could sell all your winter turtlenecks at a Sunday market, deliver a few UberEATS orders on your bike, and maybe even walk your neighbour’s labradoodle for a week. Or, if you can’t be forked getting off the couch, you could sign up for a new Bank Of Melbourne Complete Freedom Student Account by 17 Feb 2018, and get $50 cash back if you deposit $250 within the first 45 days. The choice is yours. But, once you have that hot little fifty-dollar note in your hand, there’s no limit to the amount of romance you can shower your other half with in our passionate city of Melbourne (aside from the $50 financial limit, obvs). 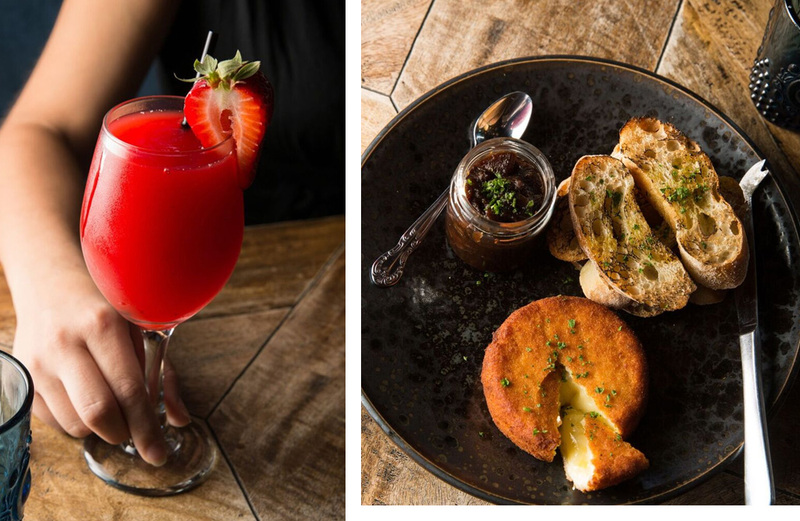 If you’re looking for a ritzy speakeasy with comfy couches, take your loved one to Fathers Office in the CBD for [generous] $12 glasses of strawberry frosé, and a $14 whole crumbed Tasmanian camembert with beetroot chutney and crusty bread. You’ll even have enough cash left over to share a third glass *wink wink*. Head to Carlton on your next date night and grab a couple of $10 tickets to a Monday night screening at Cinema Nova. Enjoy some well-articulated small talk over a couple of glasses of bubbly (only $9 each) and you’ll even have enough small change leftover for popcorn! Enjoy a little slice of Mexico every Tuesday night at Australia’s most authentic Mexican eatery, La Tortilleria, where they offer three award-winning tacos for only $12. Add a couple of shots of tequila ($7 each) and a slice of their INSANE vanilla flan for only $9 and you’ve got a date night worth phoning home about. Ladies, leave your wallet at home, this pub is full of meal deals and their parmas full grown. That’s right my destiny’s children, Foresters Hall offer FIVE DOLLAR PARMAS EVERY NIGHT OF THE WEEK. All you have to do is grab a drink. They also host tv-themed trivia nights on Wednesdays, so grab your lover, book a table and sip a pot (or three! ), all for well under $50. 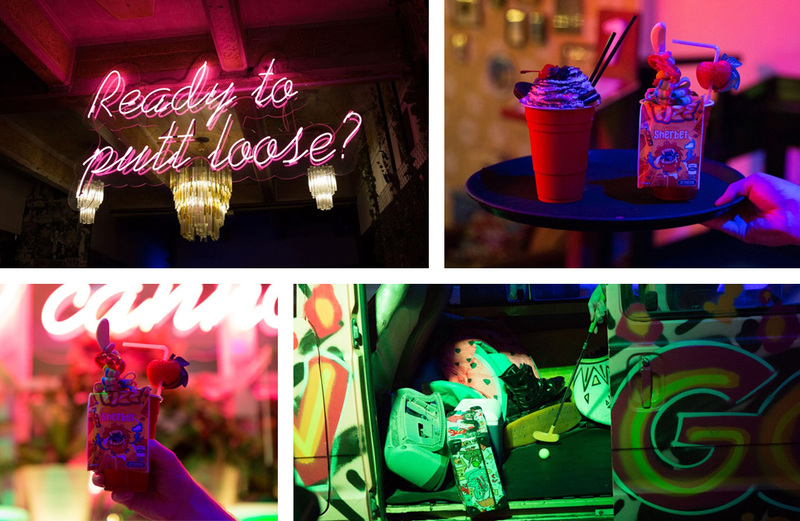 Make your next date night a hole-in-one by taking your SO for nine holes of fun and a woodfired margherita pizza at Melbourne’s resident fun palace, Holey Moley. Each hole is distinctly unique (and distinctly awesome), plus the whole night will cost you a measly $45. Make a night of it with your loved one the next time date night swings around by taking them to the Veludo restaurant and bar in St Kilda. Enjoy $6 wines from 5pm until at least 7pm every night, plus a finger licking selection of tapas dishes, like lemon pepper calamari ($15) and peri-peri chicken skewers ($14). Wander out to Preston’s Food Truck Park one evening next weekend to take your pick of some of Melbourne’s best meals-on-wheels (the young and hip kind, not the deliver-to-your-door-because-you’re-90-and-can’t-remember-how-to-cook-spag-bol kind). They have a rotating lineup of street eats and killer beats, plus a fully licensed on-site bar that you’re other half is going to LOVE. Jump in the car and catch a blockbuster movie at the ever-romantic and ever-affordable Coburg Drive-In Cinema (owned and run by movie veterans, Village Cinemas). Mad Mondays at the Drive-In mean $10 adult tickets ($7.50 for students), which means at least $30 leftover for drinks, choc tops and buckets of popcorn the size of your steering wheel. Who said cheap dates couldn’t classy and indulgent? Not the team at Ripponlea Food & Wine, who’ll serve you up their signature Baci Bomb—a dark chocolate sphere with baci biscuits, hazelnut semifreddo and orange spiked chocolate sauce which is then poured over the top to melt the sphere and transform your ‘Grammable dessert into an oozing dish of chocolatey goodness. Pair this bad boy with a glass of 2017 Riverina Rosé and you’ve got yourself the classiest $36 date night immaginable. Ditch your shoes next time you decide to get romantic and move your date night to St Kilda’s favourite recreational hotspot and watering hole, the St Kilda Sports Club. At only $20 a head, you and your lover can book out a rink for two whole hours of non-stop shoeless fun. A prior viewing of the Australian cult-classic Crackerjack is highly recommended so as to brush up on rules (and get cosy on the couch). Grab the ol’ ball and chain and take a step back in time to an age where going to the movies didn’t mean selling your car on Gumtree to afford the tickets. The Astor Theatre is a classic, single-screen revival cinema that’ll give a trip to the flicks the ultimate touch of romance, plus it’s as cheap as chips. You can catch a double feature (so two movies in a row!!) for only $17.50 per person, which leaves enough loose change for one of their life-changing, handmade choc tops.